They are funded through central government and have a region wide brief with business support divided into ‘clusters’ including ‘interior and lifestyles’. Funding is provided to support projects which are usually subcontracted in the case of the jewellery industry to the Ceramics Forum and Birmingham City University. Contact is Mike Barton Cluster Manager on 0121 503 3360. Charged with the responsibility of assaying precious metals, they also provide a number of other services such as ‘Anchor-cert’. They also have a marketing department. Assay master is Michael Allchin on 0121 236 6951. This team are responsible for the Design Space incubation scheme, the proposed Retail Support Initiative and the Business Space Initiative (the latter two due to be introduced in the early Autumn). Contact is Carol Alderson on 0121 303 4366. The brief includes attracting more people to Birmingham City Council Museums and the cultural offer including ArtsFest and Brilliantly Birmingham. They have a limited budget to support these initiatives. Contact for Brilliantly Birmingham is Sophia Tarr on 0121 464 9675 and for ArtsFest, Emily Bartlett on 0121 303 8489. This is a nationwide trade association but who have some local membership and support their members on a whole range of trade related issues. Contact is Geoff Field on 0121 236 2657. The JIIC are part of Birmingham City University, which includes Birmingham School of Jewellery, and their brief is to provide a range of services including new product development to the jewellery trade both locally and regionally. Contact is Gay Penfold on 0121 248 4578. This is a lobbying organisation who also run bi-monthly networking breakfasts. Contact Dave Mahony (JQA Chair) on 0121 236 7070. Made up of mainly retailers, restaurants and bars who pay a subscription to market and raise the profile of the Jewellery Quarter. This ranges from working with travel operators and the media to involvement in events. Contact Anna Gibson, Jewellery Quarter Marketing Initiative Manager on 0121 464 1191. Funded by Birmingham City Council the JQRP Team have a wide regeneration brief of which marketing is just one aspect. They also manage the Jewellery Quarter Information Centre. Contact Andy Munro (Operations Director) on 0121 464 1186. Their brief is to market Birmingham but with the prime objective of attracting overnight visitors to bolster the economy. They are funded by Birmingham City Council, Advantage West Midlands and some private sector contributions with the aim of marketing the generic Birmingham offer. 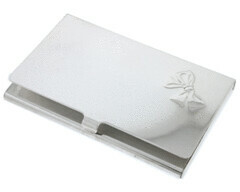 Well I did say we would begin to focus more on hand made sterling silver items. 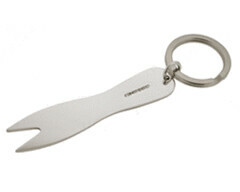 This week we have added the Sterling Silver Chip Fork Key Ring to the Gifts of Distinction range. We have had many debates here at Gifts of Distinction: David-Louis as to what category to add this Jewellery Quarter made item to and have come up with an innovative category for our Gifts of Distinction site – here it is ‘Sterling Silver Key rings’ yes its not exciting but the Chip Fork is a key ring so making it really useful and much more portable than the fork you need to keep in your wallet. The Silver chip fork is both a gadget and an excellent gift for any one who goes out and about, it adds pizzazz to any take away or night out. The Sterling silver Chip forks features are, Hand made in Birmingham’s Jewellery Quarter, Hallmarked at Birmingham’s Assay Office, Supplied in an elegant gift box and available on the Gifts of Distinctions web site for 20.00 plus VAT. 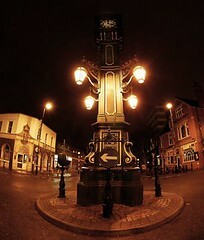 David-Louis Loves B4AM -Jewellery Quarter images take 4a.m. Here is a Jewellery Quarter photo project by Karen Strunks, her project is entitled B4AM and I recommend you have a look at the rest of the images, totaly fantastic. Please do get involved – it takes around 5 seconds. David-Louis – word from the street, or rather Warstone Lane. Well the New Year has arrived and we have all crossed over from the fantastic frenzy that is the Christmas rush. I wanted to look at how creative enterprise and entrepreneurs can avoid the dreaded credit crunch and somehow come out stronger when it passes, which it will eventually. It does call for action though and simply doing the same thing year on year especially when moving into quieter times will not create growth in any business. In my own business (es) we have come up with a few commercial strategies to combat the potential fall out from the dreaded credit crunch, the words on all entrepreneurial lips at the moment. Some of these are real world bricks and mortar strategies and others are online – where the potential for growth is incredible. How can a creative enterprise flourish in this climate? Well, I believe the answer is to target you product online to people that adore what you do. This is a valid strategy as far as sustaining the Jewellery Quarter and holding onto heritage. The income streams comes form both local people, just down the road who find you online and indeed order both online and visit you in your workshop and also from global customers that are looking for high quality individual work. 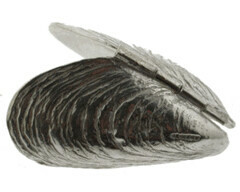 The key is to actually get very specific, sell specific products online and target specific niche markets by using strategy, the generic term or keyword ’silver ring’ will get you nowhere on the internet, you must describe the attributes of the ring that the customer will use when enquiring about a desired item. Text based content is king. At the moment I am working in several ways to encourage new, emerging and existing makers to think strategy not just ad hoc responses to enquiries. I am currently writing a business course for the BA Honours Design for Industry course at the School of Jewellery and will deliver it over five days in January and February 2009. The business content of the course I am writing gives an overview from the initial stages of concept development all the way through set up of the business to delivery to market using current trends in distribution and marketing while supporting traditional routes – the emphasis is on strategy and sustainability – we want designer makers to succeed in business and to stay in business as a career and life long makers and designers (Lifers) not simply to open what I will call ‘spring flower’ businesses that explode in a burst of colour only to fade away after one season. I am emphasing the fact that the bottom line is… the bottom line, in other words a creative enterprise should capitalise on low cost systems to attract a new audience to the business in question. Sustainability is achieved through strategy and foresight this takes planning, January is a great time to look at your strategy for the next year and I would encourage all designer makers to sit down for one day and think as opposed to do. It will reap rewards. Pleased to say we all enjoyed the worlds only three legged santa race in the Jewellery Quarter a few weeks ago. Here is the starting line up. See if you can spot me, David-Louis or Glenn Campbell designer maker. Just wanted to say thank you to Glenn for being my running mate again this year. I was delighted to see a website that I much admire, Springwise – Springwise and its network of 8,000 spotters scan the globe for smart new business ideas, delivering instant inspiration to entrepreneurial minds from San Francisco to Singapore. , refer to a competition entry I made a week or two ago on the Releasedonedotzero web site. The competition itself is quite exciting and is using what is now being referred to as crowd sourcing and can be summarised as using your clients to supply designs and product for brands they aspire too. Although I don’t think that is exactly what is happening as I and the other entrants do seem to be career or budding career product designers it is some way to the truth as it is open to concepts as well as products. Although it does reinforce what I would consider to be the an ultimate truth, creative people buy cretive products from creative people, I find that creative individuals can be the first port of call for launching a niche product and then brought toward the mainstream as the product begins its life cycle, of niche, wider audience, less expensive and ultimately entering the mainstream culture where it can become ubiquitous. The winning products in the releasedonedotzero competition will be sold at design museums around the world alongside the affiliated web site and be paid a royalty over the years which is quite a nice prize – so keep an eye here and if I never mention it again – I didn’t win…. hee hee. Some other nice thing going on too, went to the bloggers meet yesterday and met some new faces, debated some finer points of Blogging and nicely submerged myself in a cross culture which sits between, pub, blog, innovative business practice and of course some banter so it’s well worth going. A discussion I did have with Nick Booth was based around establishing a creative Blogging community within the Jewellery Quarter and also the use of word press to build web sites which would be really useful to emerging artists and creatives so I will be championing this approach over the coming months to all and sundry - lets see what happens. I was hoping to meet Chris Unitt of Created in Birmingham there but didn’t get a chance, I will look harder next time. I would hope eventually makers, retailers, School of Jewellery students, design space members, Centerpiece exhibitors, Brilliantly Birmingham and other businesses would blog about their approach to business, their products and create a scene online that will filter to the real world and back again. Finally, to begin that type of activity I am pleased to say I have been handed the keys (at least the spare set) of the blog for the new upcoming, much lauded Jewellery Quarter website which will be launched late November – just in time for Christmas, I suspect I will be promoting makers, events, heritage and little known niches of the Jewellery Quarter on the blog with a view to raising curiosity levels and dragging all and sundry to the Jewellery Quarter, from near, far and wide just to see… just to see….